Koolance's patented Hydra-Pak soft cooler technology extracts heat where traditional "block" coolers can not. Cooling performance is ensured by streaming liquid directly over the memory modules on both sides of every stick! The RAM-35 is fully expandable-- water cool 1, 2, or even 16+ consecutive DIMM slots using any manner of tubing configuration. 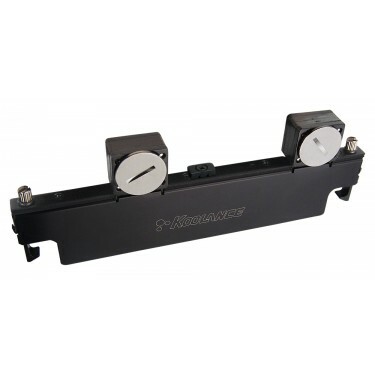 Koolance offers multiple sliding fitting options which enable RAM-35 coolers to operate in parallel, series, or a combination of both in any tubing diameter: 1/2in (13mm), 3/8in (10mm), or 1/4in (6mm). 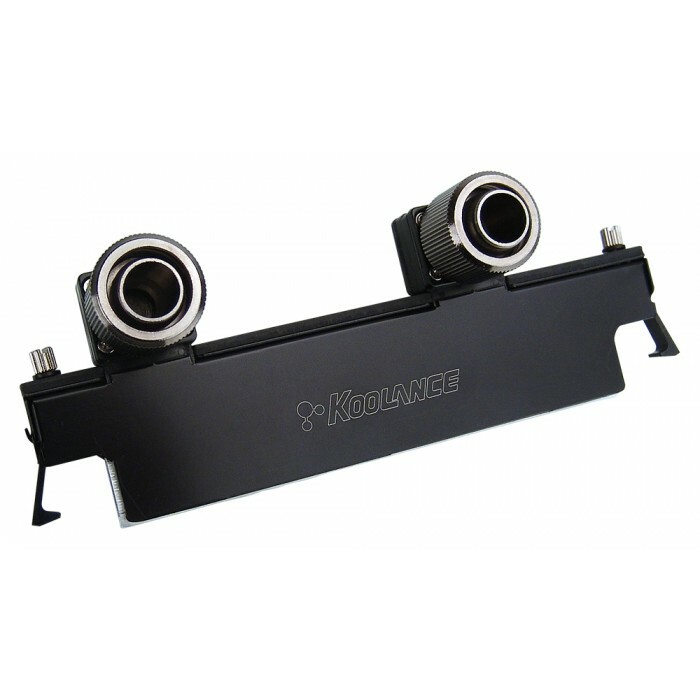 Many innovations have been built into Koolance's RAM-35, from its staggered design which allows for contiguous slot cooling, to a convenient spring-hook style mounting method. G 1/4 BSPP (parallel) thread fitting sockets are located on both sides of the RAM-35. 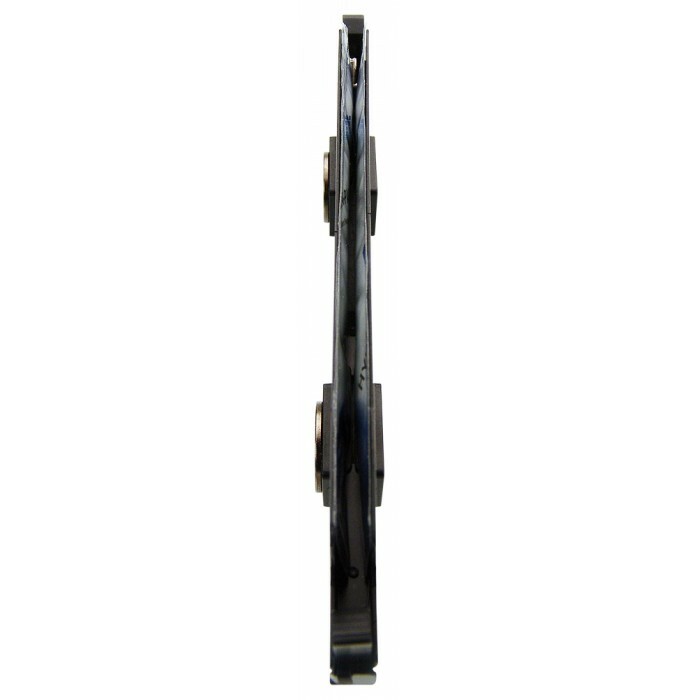 Two fitting plugs with o-ring gaskets and a CNT-MEB center mounting bracket are included. NOTES: It is strongly recommended to read the user manual before purchasing the RAM-35 to determine which additional products will be needed. The RAM-35 is technically complex and intended for customers with water cooling experience. To install the Koolance RAM-35 cooler, the memory's original heat spreaders or heat sinks (if any) should be removed in order to fit. This is also to prevent damage to the Hydra-Pak during installation, and to provide superior cooling by getting water flow as close to the memory as possible. If your memory sticks have heat spreaders, please verify these can be physically removed before purchasing the RAM-35.